Persecution Project’s ministry programs are divided into four mission areas: Safe Water, Relief and Shelter, Medical, and Discipleship and Evangelism. To support these programs, PPF has started, and will continue to develop, campaigns of active compassion. These campaigns not only allow you to support an important outreach to our persecuted brothers and sisters, they provide the tools to compound your love by recruiting your friends and family to join your effort. For this edition of Africa Messenger, we’re featuring two PPF Campaigns of Compassion for your consideration: DignityDrive.com and GotDairyGoats.com. Sustainable famine relief is a major need in areas wracked by natural and man-made disasters. Our persecuted brothers and sisters in Sudan’s Nuba mountains have been subject to a government-imposed blockade since 2011. Added to this challenge has been years of inconsistent rainfall, causing crop failure in major agricultural districts. To tackle this need, PPF has launched a campaign to provide dairy goats to select communities. Goats are very hardy animals and do well in the harsh climate of Sudan. Moreover, they have lots of “kids”, providing a growing source of milk and meat to fill the gaps caused by famine conditions. There will always be a need for emergency food outreaches in times of war, famine and persecution. But PPF’s Dairy Goat campaign is providing a long-term, sustainable solution to the Nuba food supply. One dairy goat costs just $70 and is a gift that keeps giving day-after-day, year-after-year. 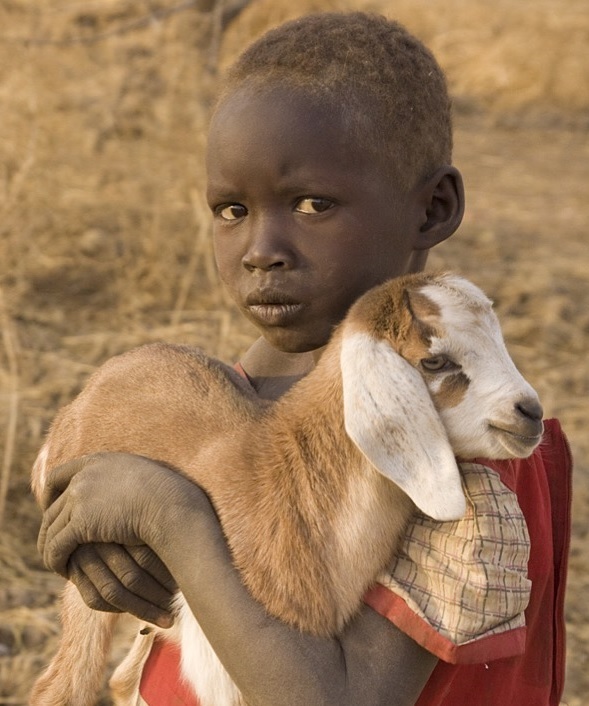 Please visit GotDairyGoats.com today, to find out how you can bless the persecuted church in Sudan with sustainable famine relief. As a ministry serving in conflict-ridden areas, we tend to focus on “major” needs like emergency food, medicine, shelter, etc. But sometimes “little” things can often have a bigger impact than one thinks. We’ve found this to be the case with our Dignity Drive. By providing thousands of women with comfortable, reusable feminine hygiene kits, we encourage and energize the major life-force of community in the two Sudans. Women who lack access to a safe, hygienic monthly solution miss out on educational and economic opportunities— not to mention exposed risk to higher rates of infection and disease. For $20, we can provide a Dignity Kit to a woman or girl in need. More importantly, we provide encouragement and a reminder that we serve a God Who provides for all of our needs. You can mobilize your church community to join you in contributing to make PPF’s Dignity Drive a continued success. Please visit DignityDrive.com today! Just as Aaron and Hur held up Moses' hands, which allowed Joshua to defeat the army of Amalek, your gifts strengthen the Nuba Church to continue to fight the good fight of faith. One Evangelism Backpack Projector in Pastor Paul's hands, for instance, has resulted in the establishment of new church congregations in four different villages! This year, nine additional pastors have received motorbikes, which enable them to take the Good News of Jesus Christ to villages farther from their homes. They can attend church conferences and run errands of mercy more easily. Your gifts have also enabled Samia to once again sleep in her own house. When her village borehole broke due to overuse, Samia was forced to walk 3 miles to fetch clean water from a neighboring village’s borehole. The queue was so long that she often slept on site while her jerrycan made its way to the front of the line. Abdelaziz rejoices at his new audio Bible. Abdelaziz, who suffers from cerebral palsy, received a wheelchair bicycle from PPF a few years ago. This year, he was excited to also receive an Arabic audio Bible. He can now listen to the Word of God 24/7. The Unimog transport trucks that you helped purchase have opened up year-round delivery of emergency relief supplies. These trucks are “game-changers” as they easily navigate both mud and deep water. Just as importantly, your love and compassion has brought smiles to thousands upon thousands of weary faces. But there are still more we can help. So far in 2018, we have delivered 5 Evangelism Backpack Projectors, and we have ordered another 6. 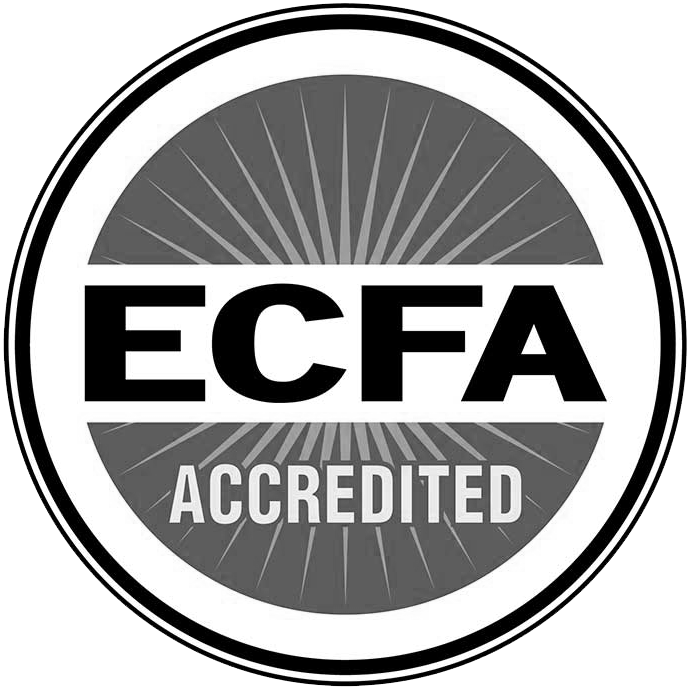 But there are hundreds of pastors who are eager to receive one of these ministry tools. Many non-believers and Muslims are coming to Christ through The JESUS Film. Likewise, over the past few years, PPF has supplied motorbikes to fewer than 40 pastors and evangelists in the Nuba region, but there are thousands who could benefit from this project. 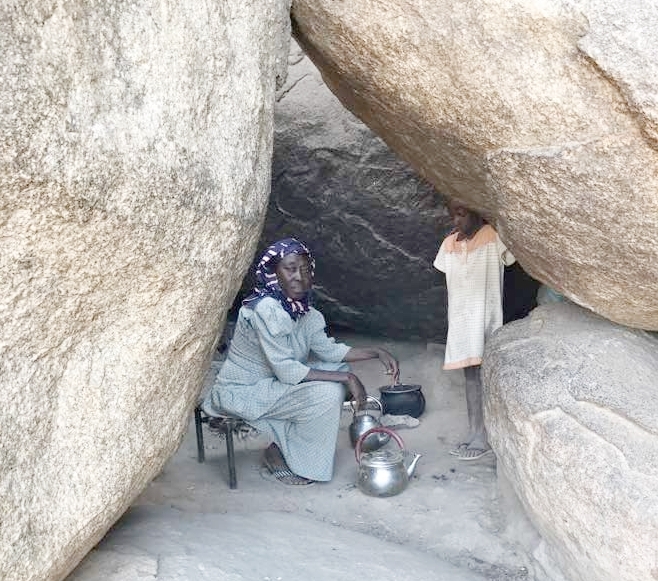 With her village borehole repaired, Samia no longer walks 3 hours to fetch water. To date, our Borehole Repair Team has repaired over 130 boreholes this year, but when the rains cease, we’ll be back at it. Pumps are used continuously, so parts wear down and break. Boreholes need constant supervision and management, and PPF is one of the few organizations making the necessary repairs… in an area the size of the state of Georgia. And did I mention there are no paved roads? We have delivered 6,200 audio Bibles this year and expect to deliver hundreds more before year’s end. Many believers and non-believers, including Muslims, in the Nuba mountains have been changed by these devices. Audio Bibles are one of the most successful ways for people who are illiterate to understand the Scriptures. Individuals who listen to the audio Bibles have memorized verses and entire chapters of the Bible. In doing so, their faith in Christ has grown. 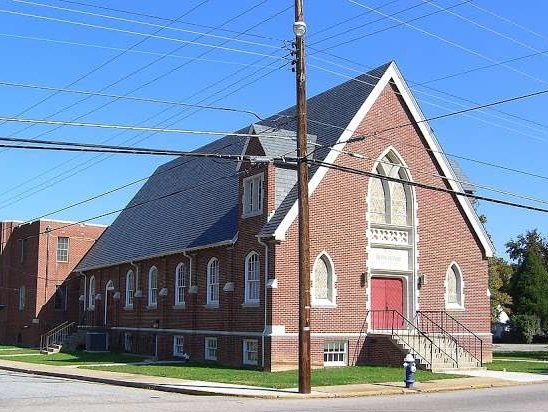 The need is great for this ministry tool. Tens of thousands could easily be distributed to eager recipients. Worship songs open a pastors' conference. A very big reminder of why we do what we do. The contested Nuba mountains region of Southern Kordofan is home to Sudan's largest Christian community. Since 2011, a humanitarian blockade and seasonal military offensives by Khartoum's Islamo-fascist regime have led to a humanitarian crisis and widespread famine conditions. Right now, the beleaguered Christian community in the Nuba mountains is facing its worst crisis since war returned in 2011. But it's easy for each of us to make a lifesaving and sustainable difference for one Nuba family. One dairy goat can provide a family with milk and offspring. This means more milk and meat - and a source of income in communities affected by war, drought and famine conditions. The Dairy Goat Project is supported by donations to PPF's Relief and Shelter Program. Our goal is to provide 150 Nuba families with dairy goats in 2018. Please visit GotDairyGoats.com to find out more! Famine conditions hit the very old and very young the hardest. The Islamist government of Sudan uses food and medicine as more potent weapons than bombs and bullets. 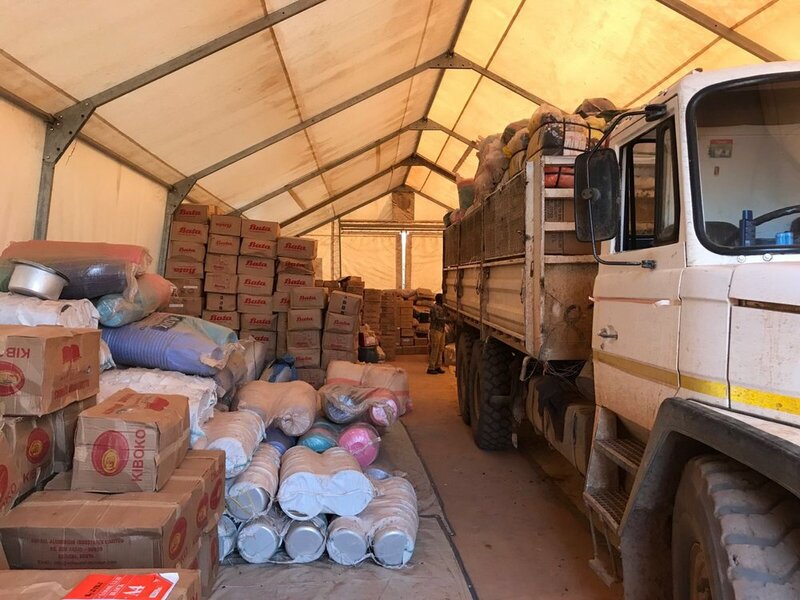 A recent humanitarian update from the Southern Kordofan/Blue Nile Coordination Unit reported that there are severe food shortages in the war-torn Nuba mountains. The heavily Christian counties of Buram, Heiban, and Umdorein are especially affected. The Nuba have been under a government-imposed complete blockade since June, 2011. The humanitarian update reveals that the accumulated effects of such a blockade, combined with poor harvests, have contributed heavily to depleted food stocks and poorer public health. The lack of access to medicine is not just a problem for humans. Infectious disease is spreading among the livestock as well. Healthy goats, cattle, and poultry are essential for food security in the Nuba. Animals like cows, goats, sheep, and chickens are vital to the food security of the region. But according to the report, sheep pox is spreading, as well as New Castleman disease in poultry, and Contagious bovine pleuropneumonia (CCBP) disease is wreaking havoc among cattle herds in several Nuba communities. Such diseases can normally be controlled by a vaccine or treated by medication. 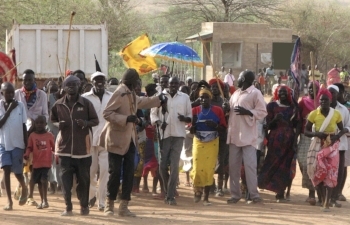 Despite the reported "cease fire," security remains a problem for the Nuba. Government-backed militia raids have destroyed 357 square miles of prime grazing territory in the remote area of Western Gebel, further contributing to the humanitarian crisis. PPF is responding in many ways through your active compassion. Our Safe Water Well Repair team continues to provide clean water to hundreds of communities. Our Relief and Shelter team continues to bring in tons of relief supplies, such as shelter tarps, mosquito nets, clothing, and compact emergency food. Our medical team continues to deliver tons of medicine to more than 180 primary health care clinics. And our Evangelism teams continue to distribute the Good News of Christ in written and digital form to those needing the encouragement and assurance of Christ's love for the lost and suffering. Empty bowls are sadly more common in the Nuba mountains. PPF continues to send in crisis relief. The Nuba church faithfully serves the community amidst the crisis. Recently, the PPF team was in Sudan’s Nuba mountains again. The rains had begun, and the whole country was turning green. Thin cows and goats were busy gorging themselves on abundant grass, and new life was seen everywhere. In every community we passed, whether in the valleys or on terraced hillsides, people were out plowing and planting. With the government-imposed humanitarian blockade now in its 8th year, it’s critical that this year’s local harvest be a big one. Famine conditions already prevail in many areas. Everywhere we stopped and spoke with locals, there seemed to be an unwavering resolve to “hold out” and weather the storm regardless of how long it rages. PPF teams hard at work delivering "Active Compassion"
Taken in context of everything going on in this area of the world, this kind of resolve is remarkable. The Nuba Church has resisted Islamization since 1956. Right now, things look really bad for the Nuba. The Islamist government in Khartoum continues to keep the area under a stranglehold to compel its surrender or abandonment by the Nuba people. South Sudan is struggling under hyper-inflation and instability due to its own internal conflicts and can provide little help. And yet wherever our team went, markets were buzzing, churches were full, wedding celebrations were held, people were smiling, and if it wasn’t for all the bombed out buildings and unexploded ordnance everywhere, you’d forget this place was a war zone. Contagious joy... and the courage to never give up! The Nuba people are standing firm— especially the Nuba church. The issue is very simple to them: They will not give up their culture and their faith. They will not be Islamized. They will not be ruled by Islamic fundamentalism. Their schools will continue to teach English, not Arabic. Their churches will continue to preach Jesus, and no other Way. Their communities will continue to stand to defend their ancient homeland. They will never, never, NEVER give up. We felt very convicted. PPF’s latest outreaches to the Nuba began in 2011. But the Nuba have been involved in defending themselves from extremism since 1956. Many on our team get to fly away back to first world conditions, while Nuba children must play soccer next to 500 pound bombs sticking out of the ground. Many of us involved in this work have felt discouraged at times, wondering whether things would ever change— but the Nuba church continues to press on day-after-day without losing hope. “If our brothers and sisters can be so determined, why can’t we?” This is the question we ask ourselves when we’re tempted to be discouraged. But now, we see it as a privilege. It’s a privilege to be chosen to stand in solidarity with the persecuted Church in Sudan’s Nuba mountains. It’s a privilege to be a part of their lives and community in some small way. In the same way, it’s a privilege to stand with all the ministry partners of PPF making this work and relationship possible with the Nuba people. Our prayer is that we all remain standing firm together, as one body spanning many thousands of miles. Would you pray with us? 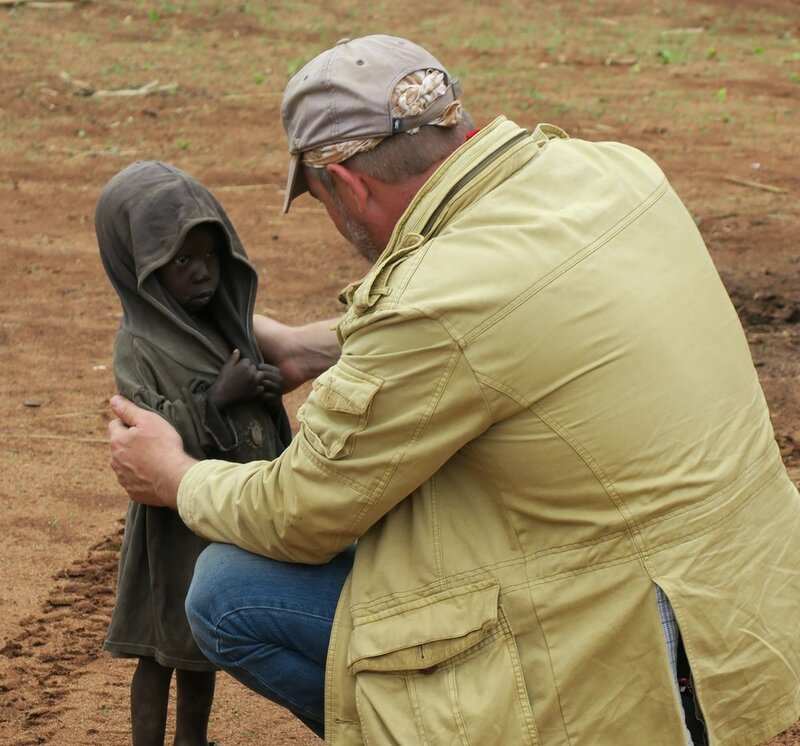 A big challenge with trying to help our persecuted brothers and sisters in Sudan is that so many live in very remote and hard-to-reach areas. Part of the campaign of persecution by Sudan’s Islamist regime is purposefully neglecting “enemy” areas for development. Sudan’s war-torn Nuba mountains are some of the least developed areas of Sudan. The addition of a long-standing humanitarian blockade has resulted in the slow grinding down of what infrastructure is there. Can you find the road? The few roads in the Nuba have gotten perpetually worse since the war began. It’s not uncommon to see the rusting hulks of heavy equipment standing idle for lack of fuel and spare parts to keep them running. Sometimes fuel and parts can be smuggled and bought at high prices on the black market, but during famine conditions, people are more worried about food and medicine than good roads for the few vehicles running. It's hard to move when you can't even see the tires for the mud. These challenges mean the addition of heavy-duty vehicles for ministry is a must for Persecution Project. Thankfully, PPF recently welcomed the addition of two Mercedes Unimog trucks. These two vehicles have added tremendous capacity for outreach. But these vehicles didn’t drop out of the sky. They were provided by God’s grace working through the generosity of our ministry partners— like you! What good is buying 10,000 Arabic Bibles if there is no way to get them to the people who need them? Likewise, what use is our medical outreach if we can’t move 30 tons of medicine to the more than 100 clinics we stock? These logistical needs are not often glamorous… but they are absolutely essential. We’ve often referred to it as a “ministry of mud.” It really is that important. We extend our sincere thanks to those who have specifically donated towards the “mechanics of ministry". Your active compassion is literally moving mountains— mountains of mercy. But the Gospel of Jesus Christ truly is the "Good News" that transforms nations, communities, tribes, families and individuals. Persecution Project Foundation is training and equipping small teams of evangelists to bring the Good News of the Gospel to South Sudan's unreached tribes. You can be a part of this ministry by helping PPF equip teams of indigenous evangelists with the tools they need to reach their neighbors with the Good News of Christ. Each team undergoes training in the use of an Evangelism Backpack Projector Kit. One team equipped with a projector can bring an audio/visual witness to a population which is more than 90 percent illiterate. Each projector system costs about $1,500, plus transportation. This means 15 people giving $100, or 30 people giving $50 can help us equip one team. 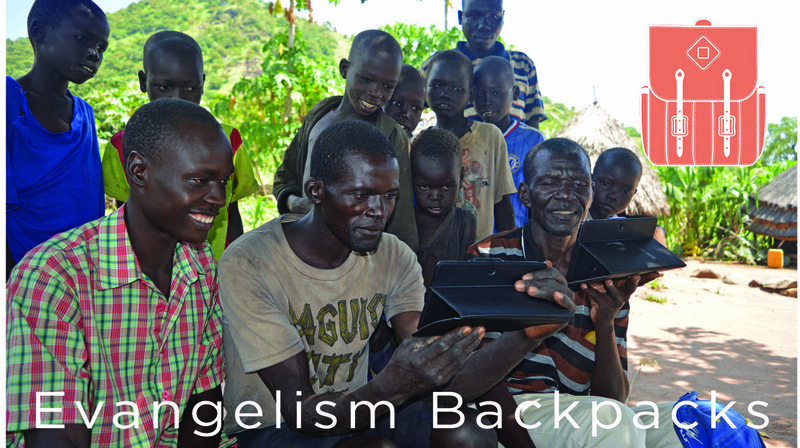 Visit evangelismbackpacks.com to donate or to become a fundraiser for this vital campaign. Showing The Jesus Film at the JLTC.